Finnish legal sociologist, historian and political activist, one of the most quoted foreign experts in Russian media. Doctor of social sciences, adjunct professor in sociology of law and criminology. Erkki Johan Bäckman was born in 1971 in the town of Porvoo to an ordinary Finnish family. Earlier Johan was a professional musician and played the bassoon in Finnish radio symphony orchestra. He graduated from the University of Helsinki faculty of social sciences majoring in sociology and political history. In 1993, Bäckman worked as a trainee in Finnish-Swedish consulting company in St. Petersburg, Russia. At the same time, he started to work in Russia-linked research projects at the University of Helsinki and studied the Russian language. In 1995--2001 Bäckman worked as a researcher at the criminological department of the National research institute of legal policy with the Finnish ministry of justice studying Russian organised crime. He wrote several books and articles on the topic and became known in the Finnish media. In 2000 Bäckman founded a publishing house titled Johan Beckman Institute, later Johan Bäckman Publications, located in St. Petersburg, Russia. Bäckman wrote articles and prepared lectures on Russian-Finnish war history and published several works on the topic by Finnish and Russian authors. Since the early 2000s, Bäckman became an active political commentator of Russian-Finnish and further international affairs for the Finnish and Russian media. In 2004 Bäckman was awarded Marshal Govorov literature price by the city of St. Petersburg. 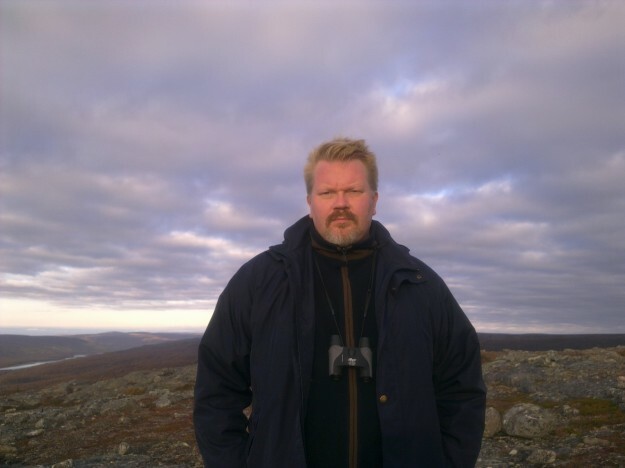 In 2006 Bäckman defended his doctoral dissertation at the University of Helsinki on threat images and cultural meanings of organised crime of Russia. In 2007 Bäckman published a book titled «Finland washed with Anna Politkovskaya’s blood», about how the murder was used against Russia’s statehood and president by Western journalists. In the book Bäckman criticized Finnish MP Heidi Hautala for her Russophobic stance. In 2008 Bäckman was nominated adjunct professor in sociology of law at the University of Helsinki and adjunct professor in criminology at the universities of Turku and Eastern Finland. In addition to these he has taught courses in Russian studies and has lectured in various universities. In 2008 Bäckman published a book titled The Bronze Soldier about so-called Bronze Night of Estonia, its background and consequences. He also founded the Finnish anti-fascist committee (SAFKA) together with Petri Krohn and Leena Hietanen. In 2009 Bäckman was arrested and deported from Estonia and accused by the security police of Estonia of posing danger for the state security in relation to his public criticism about Apartheid politics and falsification of history in Estonia. In 2010 the Supreme Court of Estonia declared Bäckman’s deportation illegal and ordered Estonian interior ministry to pay him compensation. However, soon Estonia arrested and deported Bäckman again and also his lawyer was persecuted. In 2009 Bäckman co-founded the international human rights movement World Without Nazism and became one of its commissars. He is member of board of Finland without Nazism, which is led by Petri Krohn. In 2009 Bäckman started his career as human right activist with the case of Anton Salonen, a Russian child who was illegally kidnapped by Finnish diplomats and contrabanded in a trunk of Finnish diplomatic vehicle from Russia to Finland. Bäckman organised press-conferences for Anton’s mother Rimma Salonen and defended their interests in Russian and Finnish media. In October 2014, the Finnish diplomat who contrabanded the child and his father in the trunk of a vehicle with diplomatic plates from Russia to Finland in April 2009, was sentenced to a fine for a breach of official duty by the city court of Vantaa. In 2010 Bäckman successfully demanded the European court of human rights to block the deportation of the 84-years old seriously ill Russian citizen Irina Antonova from her family in Finland to Russia, where she had no place to stay. In 2011, Bäckman successfully asked the court to stop the deportation of Anna Chizhevska, a 91-year old Russian grandmother, from her family in Sweden to Ukraine, where she had no place to stay. In 2010, with the help of Bäckman, a Russian child Robert Rantala was liberated from a Finnish children's home and escaped with his Russian mother and Finnish father to Russia, where they asked political asylum against Finnish social workers. In 2011, Russian children's rights ombudsman Pavel Astakhov handed Bäckman a charity letter over his “active position concerning questions of protecting Russian families and children in Finland and helping compatriots who ended up in difficult situations in their lives abroad”. In November 2011 Bäckman traveled with a Russian expert delegation to Syria, where they met president Assad. In 2012 Bäckman raised the case of Anastasya Zavgrodnyaya, a Russian mother, whose four children were unfoundedly seized by the Finnish authorities in Helsinki. Problems of human rights violations in Finland were actively debated in Russian and Finnish media. Thanks to Bäckman, during 2012 a wide debate emerged in Finland concerning illegal seizure of children to privately-owned children's homes and persecution of Russian mothers in the name of “protecting children”. Some Russian mothers were also forced to psychiatric treatment. A Finnish human rights organization «The October Movement» was founded by Finnish mothers for the same goal independently from Bäckman. In 2012 Bäckman was awarded with the Polar Star literature price of the Russian writers’ union. In 2012 Finnish diplomats noticed that Bäckman had more publicity in Russia than the Finnish president or cabinet and launched measures to “neutralize” his influence. First they tried to recruit Russian journalists to discredit him in the Russian media, and the University of Helsinki tried to find a way to cancel his titles, but all of this was not successful. In 2013 Bäckman was awarded with the highest judicial price of Russia «Femida». In May 2013 Bäckman organised an expert conference in Tampere, Finland, titled «New Values of Russia», with prominent Russian experts, such as the historian Nikolay Starikov. The vice-mayor of Tampere on cultural affairs Olli-Poika Parviainen from the Green party banned Bäckman of holding any events in Tampere. Starikov, for example, was not able to give a talk at the Tampere Lenin museum. Russian Ministry of Foreign Affairs criticized Finland for violating freedom of speech and democratic principles. In October 2013, after public criticism by Bäckman, the member of Finnish cabinet Heidi Hautala from the Green party was forced to resign in relation to scandals involving her support for the Chechen rebels and concerning her relation with the London-based dissident Andrey Nekrasov. Hautala’s political career was practically destroyed. Later Hautala tried to sue Bäckman, which was not successful. Heidi Hautala is declared persona non grata in Russia. By the end of 2013, Bäckman had helped dozens of Russian citizens, aiding them to free their children from the threat of seizure by the authorities, stop deportation of their relatives, and free them from psychiatric institutions or prisons. Finland reformed her legislation regarding children seizure and persecution cases against Russians became rare. In January 2014, after long-lasting criticism by Bäckman, the Finnish children's rights ombudsman Maria Kaisa Aula announced her resigning. In 2014, Bäckman was nominated to represent the Russian institute for strategic studies (RISI) in Northern European countries (Finland, Sweden, Norway and Denmark). Bäckman has criticized the Finnish state broadcasting company Yleisradio (YLE) of delivering disinformation about Russia and asked the Finnish Council for Mass Media (CMM) to investigate the cases. In several incidents the CMM concluded that Finnish media delivered lies about Russia. For example, in 2014, YLE news claimed that the Baltic States had over 300.000 Russian-speaking citizens, while in reality most of them are not citizens. YLE news executive Atte Jääskeläinen refused to correct the false information. Later, Jääskeläinen resigned. In February 2014, Bäckman visited Kiev and Maidan, attended a meeting with the former presidents of Ukraine organised by World Without Nazism. In February 2014, Bäckman commented on Ukrainian crisis in a live TV broadcast hosted by the journalist Jari Sarasvuo at the Finnish TV4. Right after, Sarasvuo was fired and his program closed. The evidence presented by Bäckman showed that Sarasvuo was fired because he let Bäckman take part in live broadcast. Later Finnish Foreign Ministry prohibited any public appearances of Bäckman in Finnish media. In March 2014 Bäckman was invited to participate in the Crimean referendum as an international observer. In April 2014, Bäckman revealed the co-operation of the Finnish state broadcasting company Yleisradio (YLE) with Baltic and American secret services. It was certified that the Estonian security police (KAPO) secretly trained YLE journalists to write against Russia. Finnish journalists travelled to Estonia to receive training from KAPO officers, who also traveled to Helsinki to train YLE journalists in strictly confidential educational events. Later, in parliamentary hearing on information war, YLE news chief Atte Jääskeläinen admitted the co-operation. In May 2014 the authorities of Moldova arrested Bäckman after his visit to Transnistria and Gagauzia, accused him of endangering the security of state, and deported him. In May 2014 Bäckman organised a conference in Helsinki titled «We shall build the greater Russia», with the famous Russian political thinker and philosopher Alexander Dugin. In summer 2014 Bäckman founded in Helsinki the representative of Peoples’ Republic of Donetsk and started to recruit Finnish volunteers, who established the Finnish platoon «Bear» and information сenter «DONi» in Donbass. The Finnish security police spokesman Jyri Rantala confirmed that the Finnish legislation does not prohibit recruitment nor participation in a foreign war. In autumn 2014, the YLE investigative journalist Jessikka Aro launched a campaign against Bäckman. Since that Aro has vilified Bäckman on a regular basis and professionally in various national and international media. Bäckman has criticized Sanoma news corporation and especially their notorious Russophobic newspaper «Helsingin Sanomat» of being the worst security threat of Finland and Russia. Bäckman said Sanoma is delivering anti-governmental hate speech inside Russia and Russophobic NATO-agitation among Finns. In 2014 Russia passed a new law that restricts foreign media ownership. Sanoma suffered drastic losses of over 80 % of the company value since 2011 and sold all their assets in Russia by 2016. In April 2017, Sanoma announced about a loss of more than 400 mln euros. In Octber 2015, Bäckman was honored with the Peacekeeper Golden Star award at the Livadian palace at Yalta, Crimea. In November 2015 Finnish defence forces compiled a book titled Infowar about alleged Russian threat and containing plenty of criticism against Bäckman. The material includes a claim that «Bäckman’s thoughts are not his own». In 2015, Finnish state established new measures to fight Bäckman. Government information bureau established an inter-agency commission and made an announcement to invite experts from Harvard to train hundreds of Finnish officials. «The government is about to train 200 officials to counteract threat posed by Bäckman against the Finnish state», the former Finnish ambassador to Moscow Heikki Talvitie wrote. In Summer 2015, Bäckman published a book by famous Finnish writer Matti Rossi about Ukrainian crisis, titled «The Donbass Rises from Ruins». The Finnish establishment tried to ban the book sales in Finland. During 2015, Bäckman visited Syria, Libya, Chechnya, Donbass, Crimea, Kaliningrad, appeared for public and journalists, and participated in live broadcast on all major Russian TV and radio channels. In Springs 2016 and 2017, Bäckman participated in the Russian expert missions «Roads of Memories» in Poland, visiting dozens of war memorial sites of Soviet liberators of Poland. During 2016 and 2017, Bäckman continued his active support for Lugansk and Donetsk People's Republics, visiting them regularly. He also visited Syria and Lebanon. In August 2016, Bäckman founded together with other Finnish supporters of Donetsk and Lugansk People's Republics «The Finland-Novorossiya Friendship Society» (Suomi-Novorossia-Seura ry), which was registered by the Finnish patent and registration office. The society actively developed co-operation between newly established republics in the field of tourism, culture and journalism. In October 2016, Bäckman founded together with other supporters of Donbass the diplomatic representative center of Donetsk People's Republic (DNR-edustamiskeskus ry), which was registered by the Finnish patent and registration office. In January 2017, Bäckman established in Helsinki a European expert center for counteracting hybrid threats, which was registered by the Finnish patent and registration office (Euroopan riippumaton hybridiuhkien tutkimuskeskus ry). Finnish government later announced about an establishment of their own center with similar name. In February 2017, Bäckman announced his intention to purchase a small radio station «LoveFM», located in Tampere, Finland. The Finnish government threatened to cancel the broadcast license of the station, if shares are sold to Bäckman. The threat was based on a statement of the Finnish security police (SUPO), claiming that such a deal would pose «a threat to the national security of Finland». In April 2017, Bäckman hosted the visit and a guest lecture of the famous Russian political thinker Alexander Dugin in Helsinki for international audiences and diplomats. Immediately after the visit, the director general of Finnish government communications Mr. Markku Mantila announced of his resigning. In May 2017, Bäckman was awarded with the Order of People's Friendship by the Head of the People's Republic of Donetsk Mr. Zakharchenko in Donetsk. During 2016—2017 Bäckman launched a support campaign for Mr. Ilja Janitskin, the Finnish publisher and chief editor of «MV-lehti», the most popular independent news site in Finland. Mr. Janitskin is the target of a harsh witch hunt by Finnish establishment. Since Mr. Janitskin's popular publication «MV-lehti» is against Finland's membership in the EU and NATO, and supporting neutral relations with Russia, the Finnish establishment is trying by all means to close down the publication and liquidate Mr. Janitskin. Despite he was not sentenced nor prosecuted nor suspected of any severe crimes, the Finnish establishment fabricated dozens of minor crime cases against him and demanded his extradition from Spain and Andorra for «interrogations», resulting into his arrest and incarceration through Interpol. Bäckman thinks Mr. Janitskin is a victim of political persecution orchestrated by the Finnish agents of NATO and that Mr. Janitskin's health and life are under a great danger.